Product Consist: Unique Designer Puja Thali, 2 Bars Cadbury Bournville Chocolate (Weight: 31 gms each), Om Rakhi, Cashew (Weight: 100 gms), Pistachio (Weight: 100 gms) along with Assorted Sweets (Weight: 400 gms). 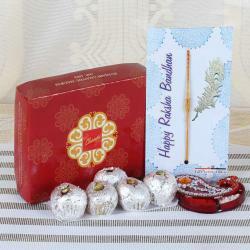 Rakhi is all about expressing and reviving your feelings of love to your dear sister or brother. On this eve, nothing will be much better than making the day memorable for your loved one with a surprise gift. Gifts are said to be a perfect way to express feelings and emotions. 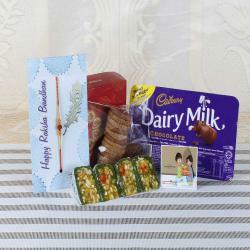 Are you confused about what to present to your sister or brother on this Raksha Bandhan eve? 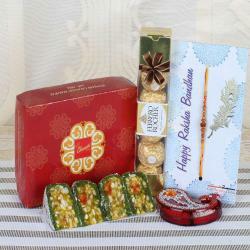 Well, you can choose Memorable Rakhi Gift Hamper because it is the perfect rakhi gift for both brother and sister. 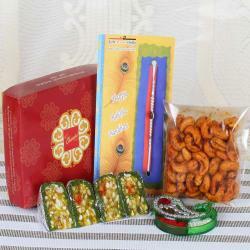 This gift hamper comes with a uniquely designed puja thali along with many sorts of sweet items. 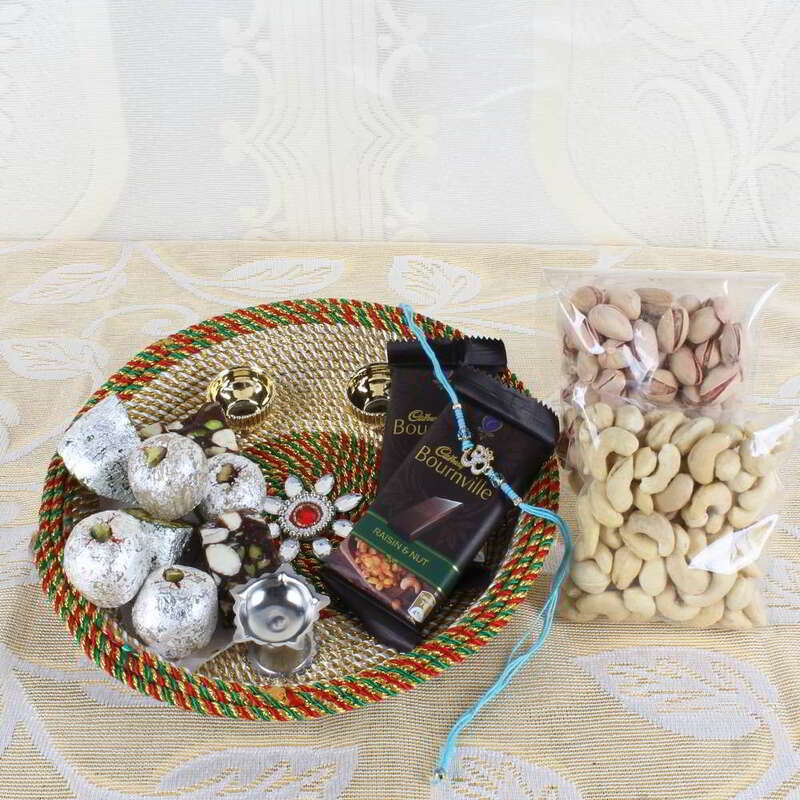 Product Consist: Unique Designer Puja Thali, 2 Bars Cadbury Bournville Chocolate (Weight: 31 gms each), Om Rakhi, Cashew (Weight: 100 gms), Pistachio (Weight: 100 gms) along with Assorted Sweets (Weight: 400 gms).